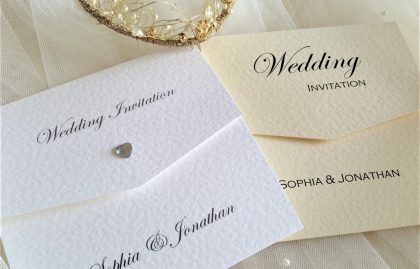 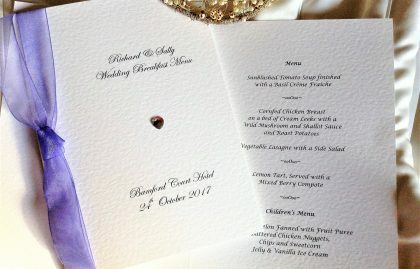 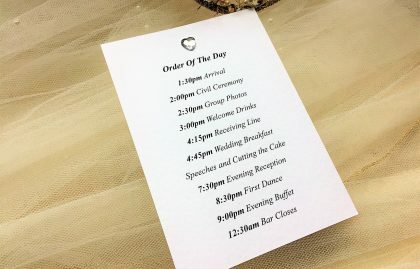 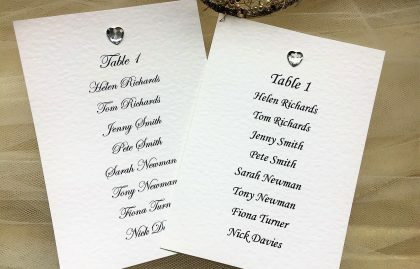 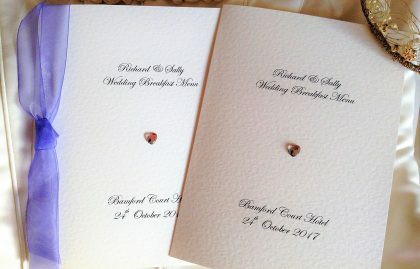 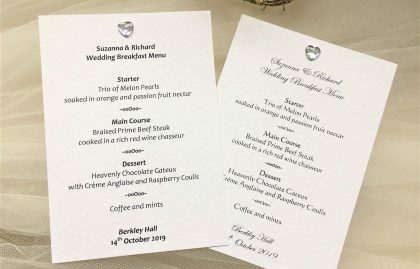 Diamante Heart Wedding Stationery offers an elegant simple design featuring a clear diamante heart. 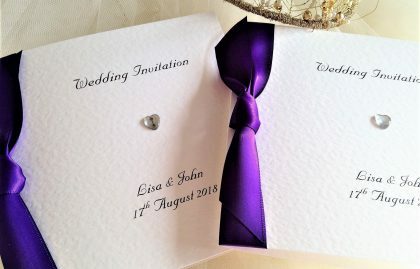 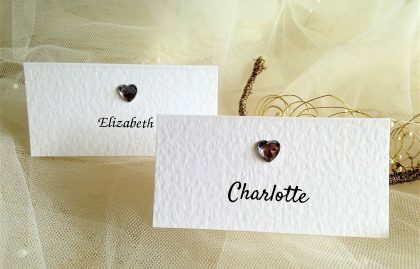 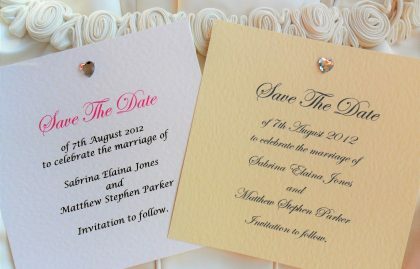 Diamante heart wedding stationery is available with ribbon to match a colour scheme. 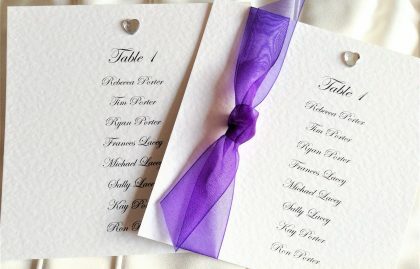 We stock organza and satin ribbon. 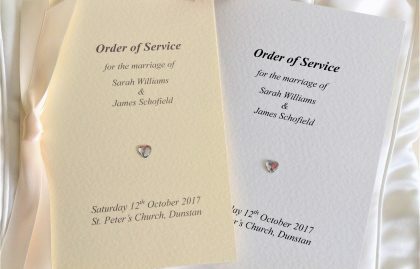 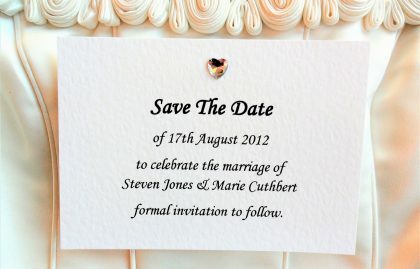 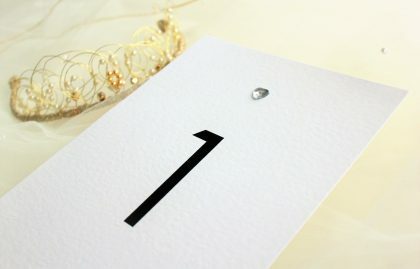 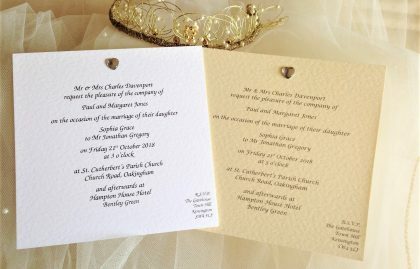 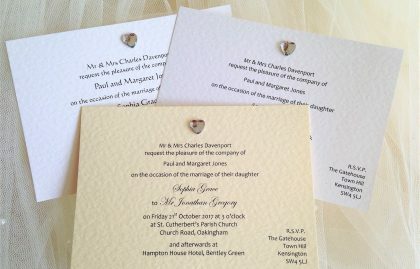 Wedding Stationery is available on white and ivory hammered card.